It is vitally important to you that your personal information is kept safe and confidential. It is equally important that when you communicate information to Fish Home Finders or Fish Home Finders communicates with you that such communication is secure. This policy is intended to make sure that we, Fish Home Finders do all that we can to ensure that information and communication with you is kept private. 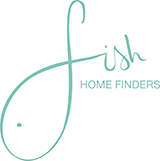 It sets out how Fish Home Finders uses and protects any information that you give Fish Home Finders when you use this website. Fish Home Finders is committed to ensuring that your privacy is protected. Should we ask you to provide certain information by which you can be identified when using this website, then you can be assured that it will only be used in accordance with this privacy statement.